While his support for the Hetch-Hetchy bill might lead people to believe that Drinker did not care for the environment, he was actually very interested in conservation. Drinker thought of conservation as a practical measure to avoid the excessive waste and inefficiencies of many industries. He followed the thinking of men like Gifford Pinchot, who called for a "conservation ethic" in natural resources. Drinker became President of the American Forestry Association from 1913-1916, at the same time he was writing in opposition to Hetch Hetchy. 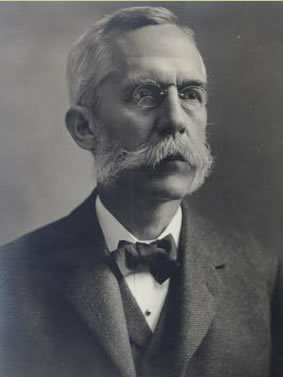 He later became President of the Pennsylvania Forestry Association from 1917-1923. Drinker also promoted forestry at Lehigh, and received support for forestry education through a gift of $10,000 from Mrs. Eckley B. Coxe, "an ardent supporter of forest preservation." Drinker was dissuaded from starting a forestry program at Lehigh after it was pointed out that there were enough schools of forestry on the east coast. Instead, this money went towards public lectures and faculty, scholarships for other forestry programs for students, and towards acquiring land and trees for Lehigh's arboretum. Prominent lecturers included Gifford Pinchot, first Chief of the U.S. Forest Service and later Governor of Pennsylvania.